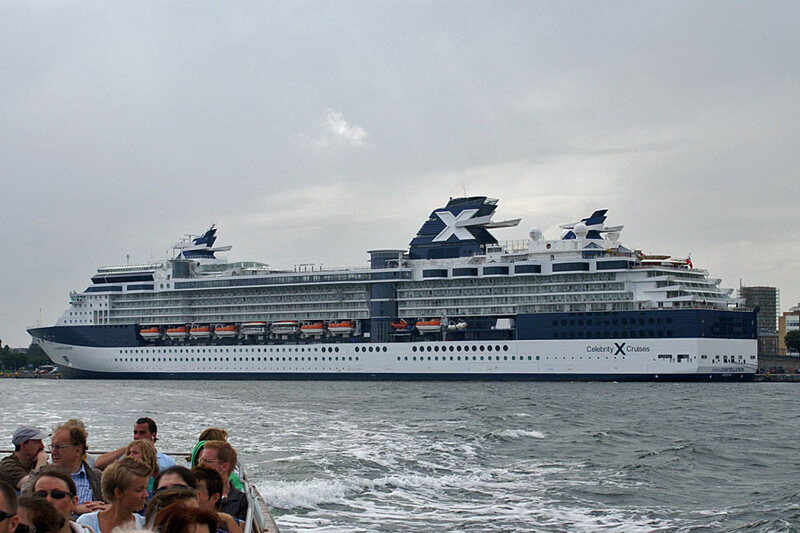 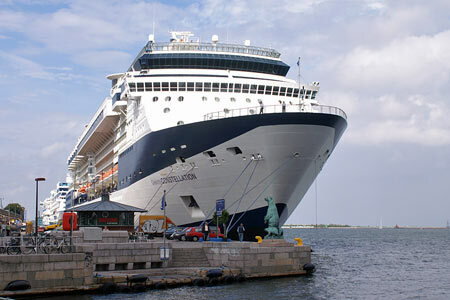 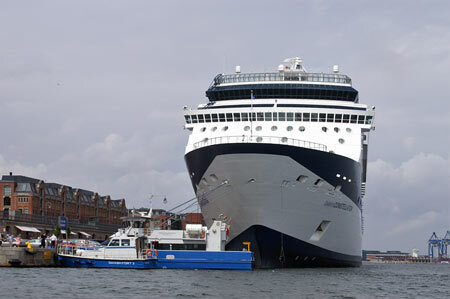 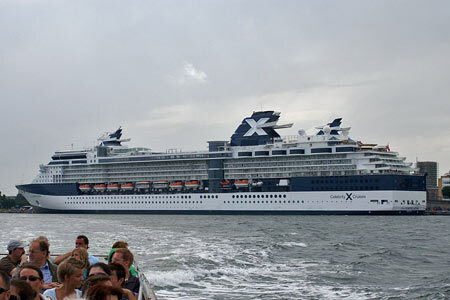 This page is one of a series showing a Baltic cruise on Celebrity Constellation in 2007 (renamed from Constellation earlier in 2007). 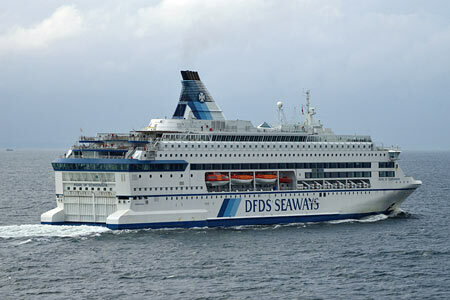 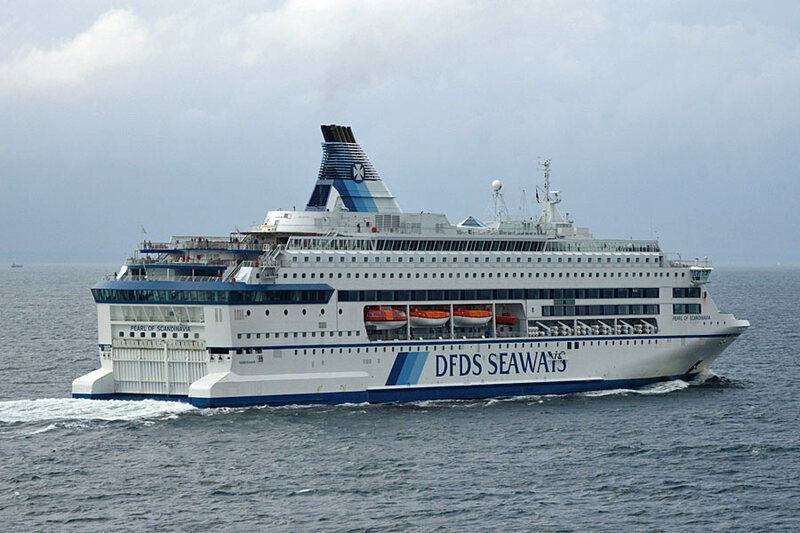 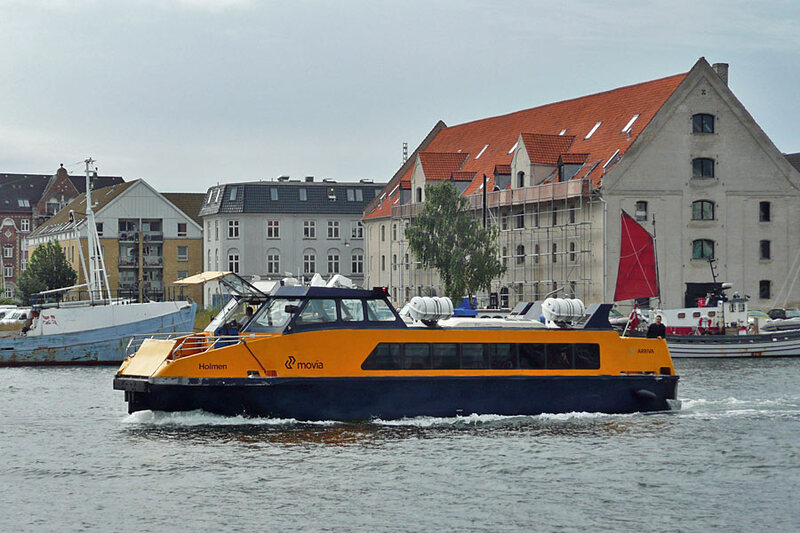 The largest Copenhagen excursion operator is DFDS Canal Tours (www.canal-tours.dk), who have a fleet of 16 similar low height launches. 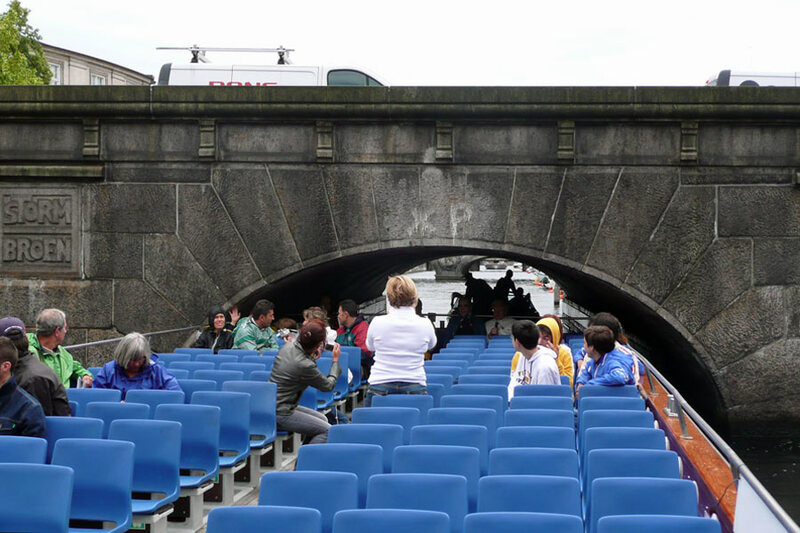 They operate two different non-stop tour routes with commentary, plus three hop on/hop off routes linking most of the important tourist sites. 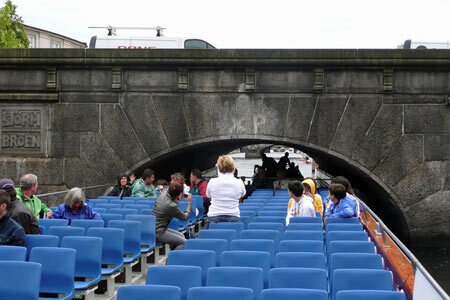 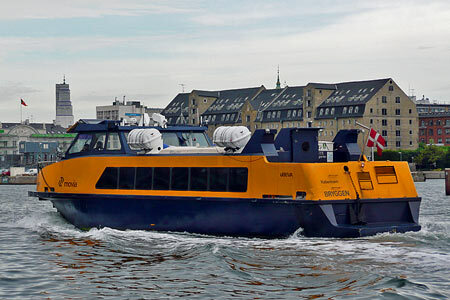 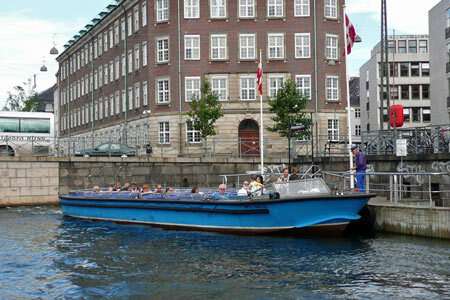 Nettobådene (www.nettobaadene.dk) operates a fleet of around ten similar boats (Netto I to Netto X) on guided tours and charters, plus the 903 ferry route from Operaen to Nyhavn. 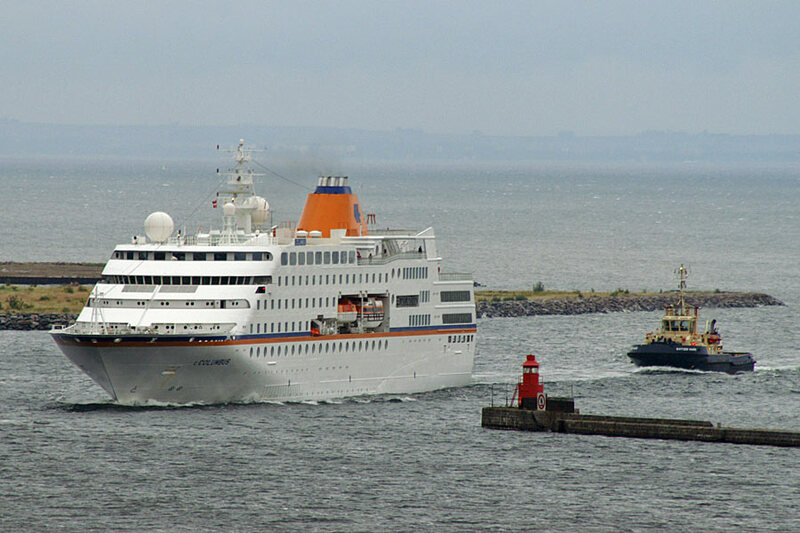 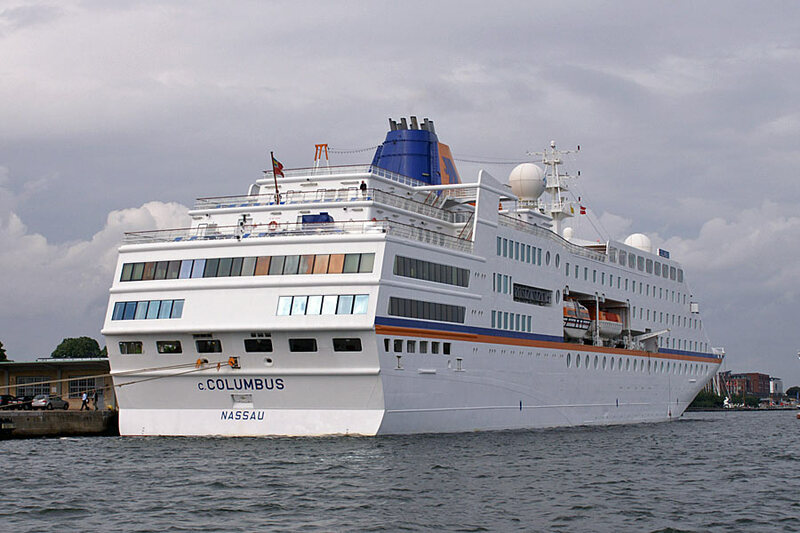 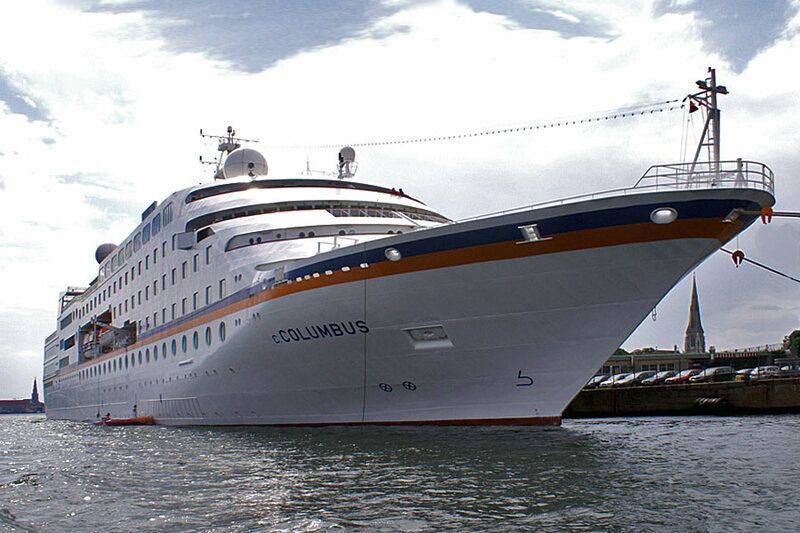 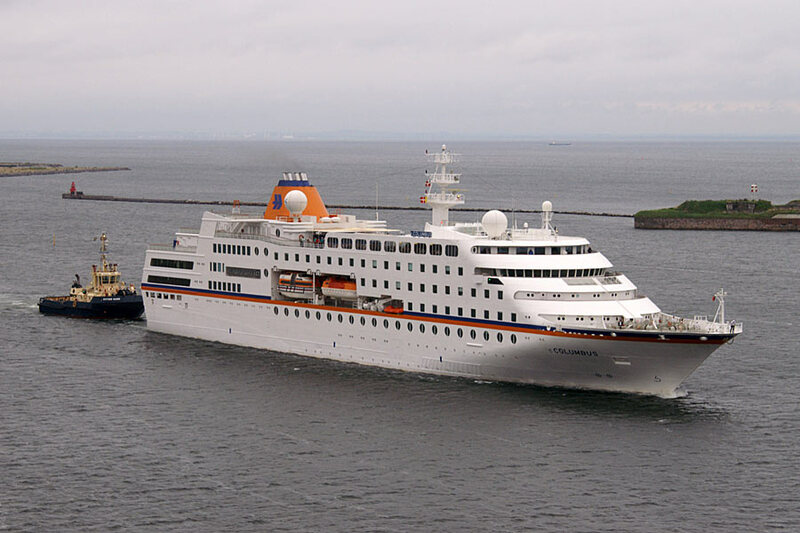 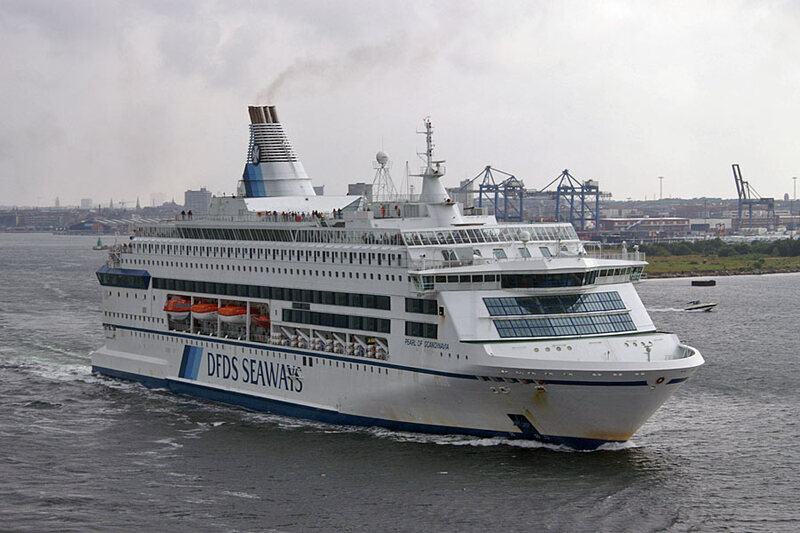 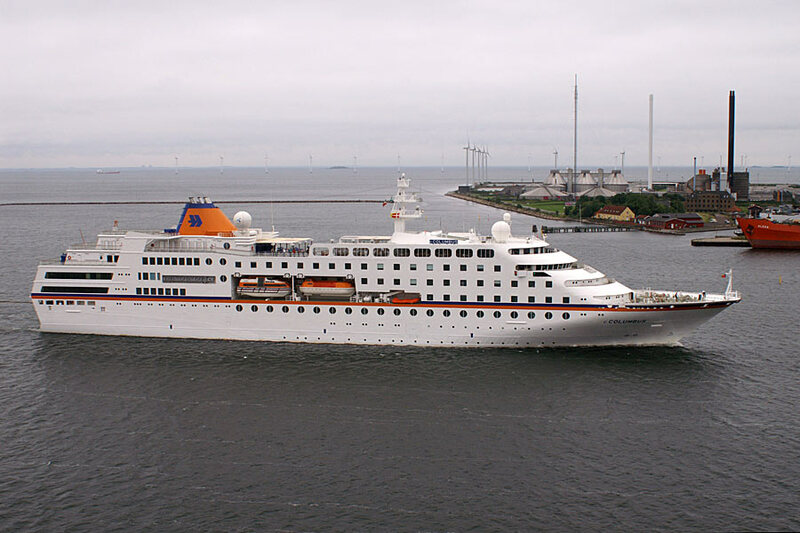 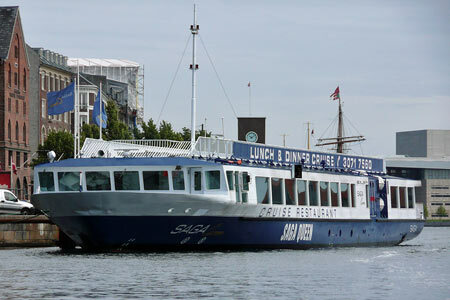 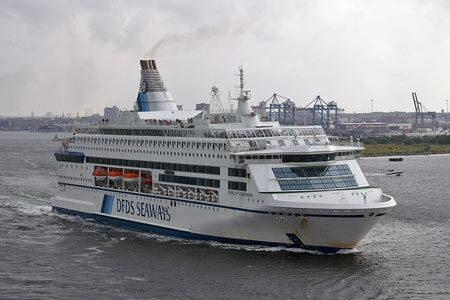 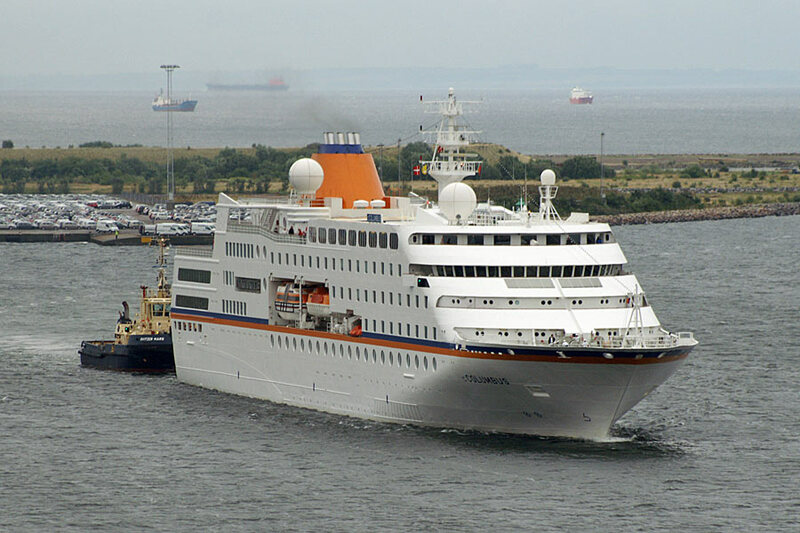 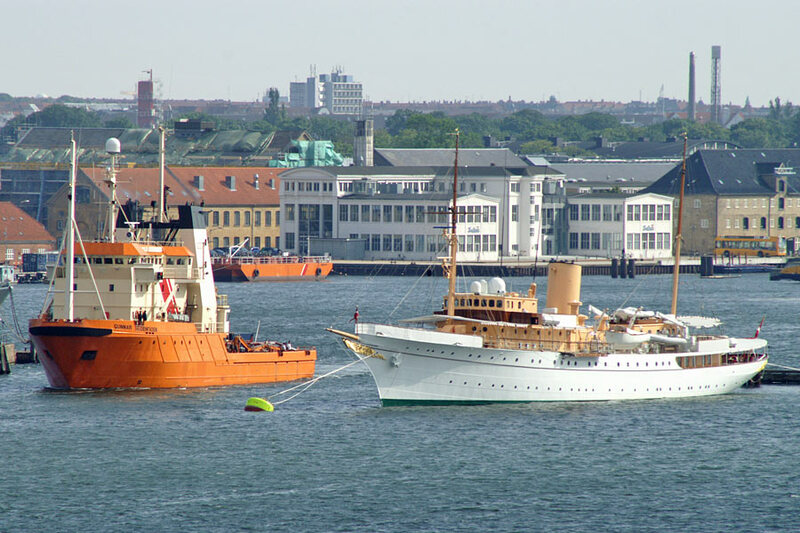 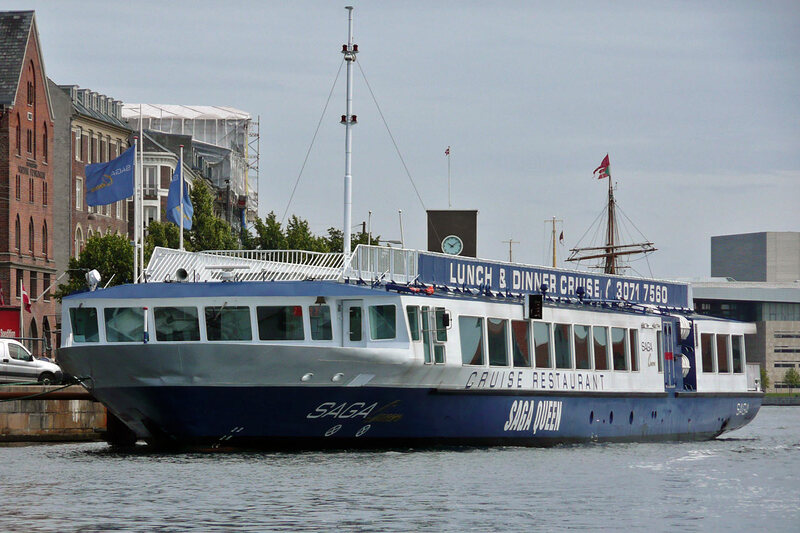 The restaurant ship Saga Queen was owned by Margit & Erik Hansen, who have operated the Sagafjord at Roskilde for over 18 years. 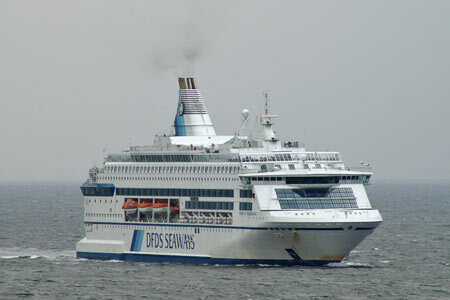 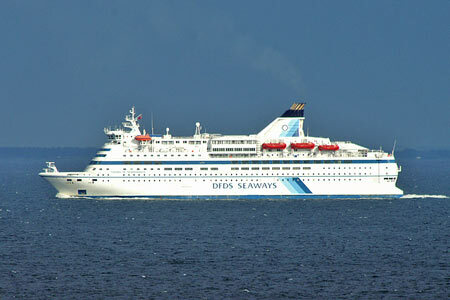 Saga Queen was purpose-built for the service in 2004. 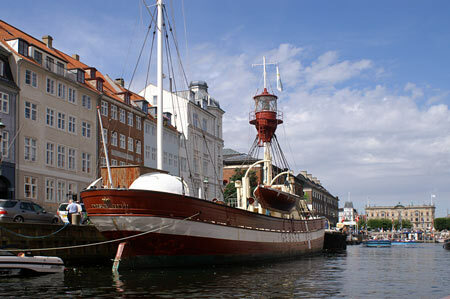 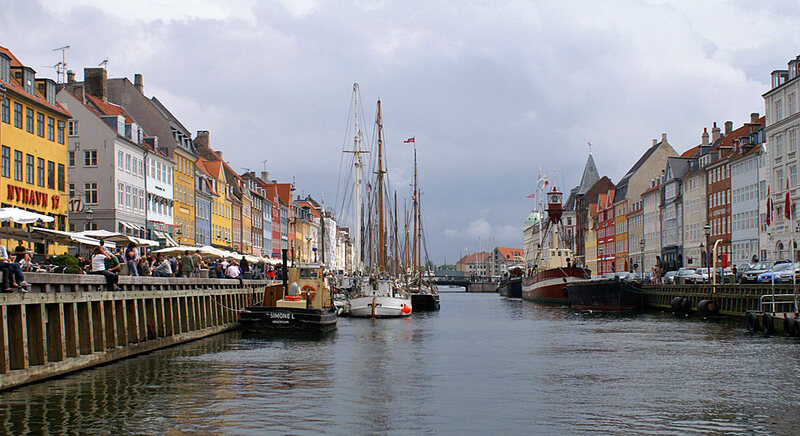 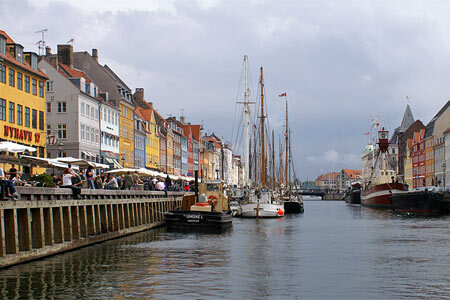 During the summer months she operated up to four cruise per day from Havnegade, near Nyhavn. 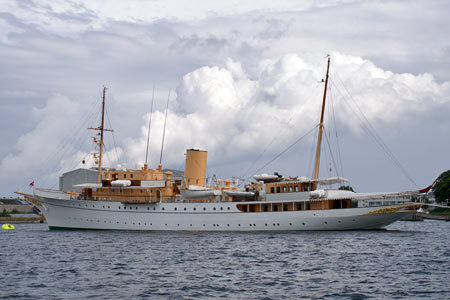 In 2012 she was sold to Bateaux London for use on the Thames. 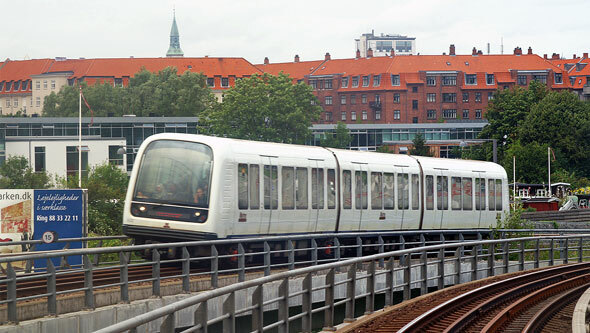 The Copenhagen local transport company is Movia (part of the Arriva Group) running most of the buses in the greater Copenhagen area. 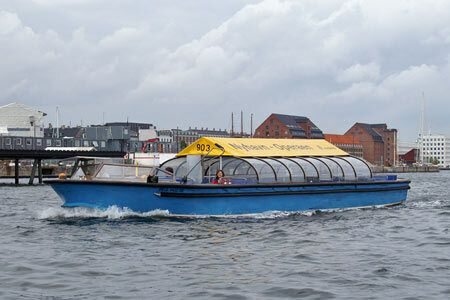 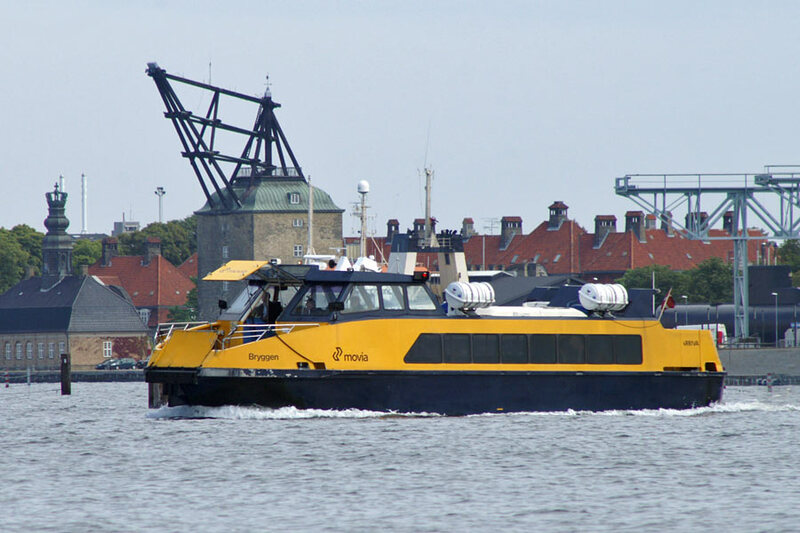 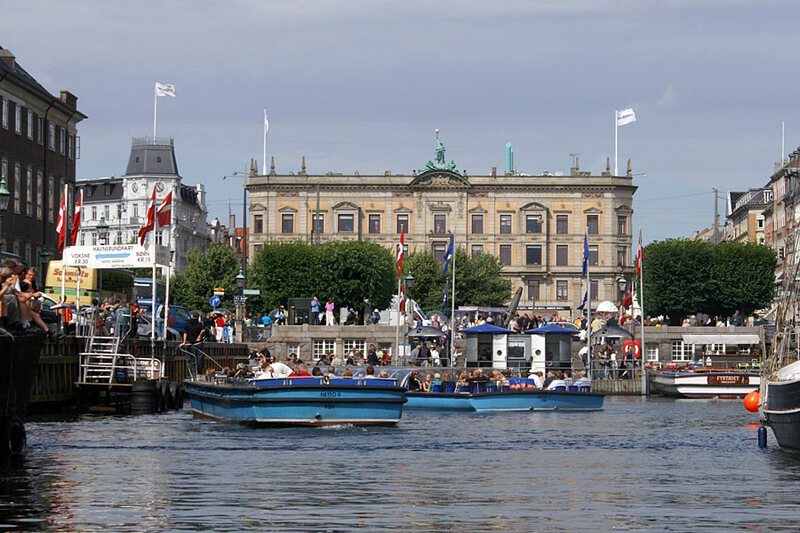 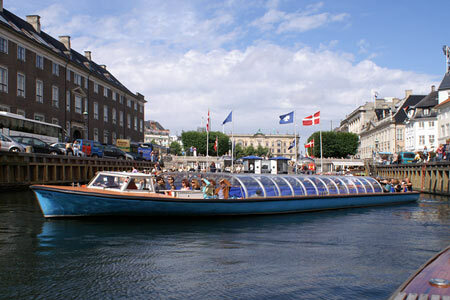 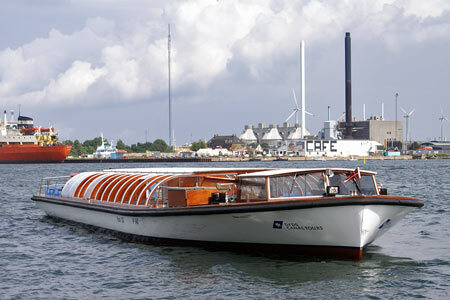 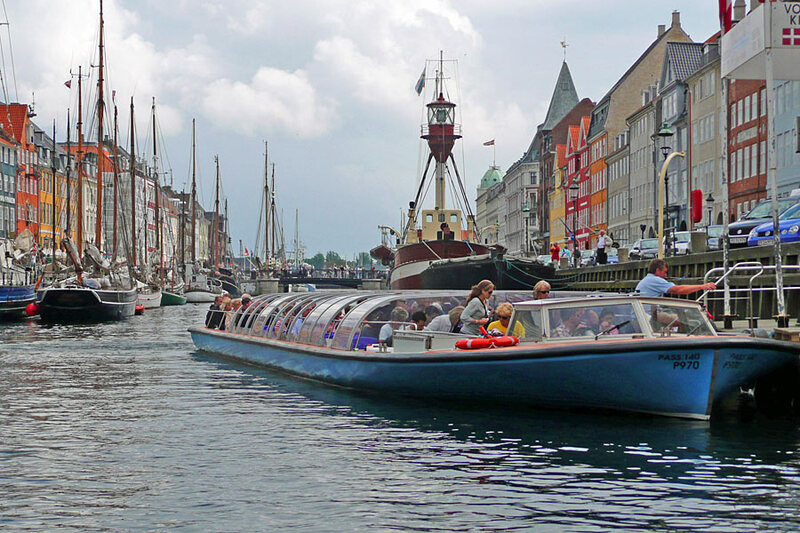 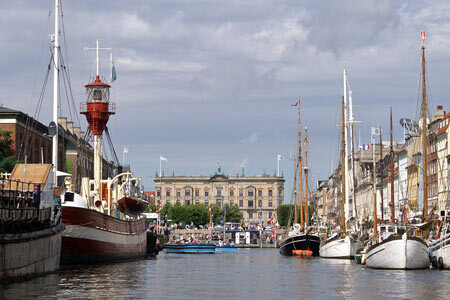 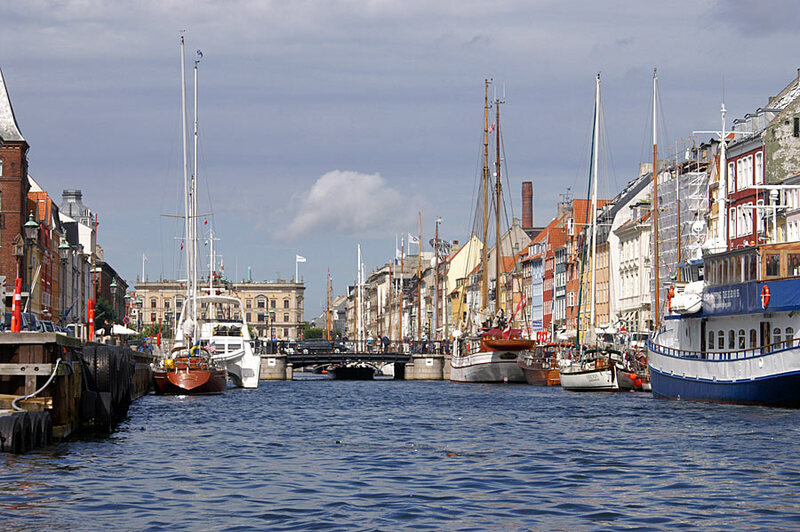 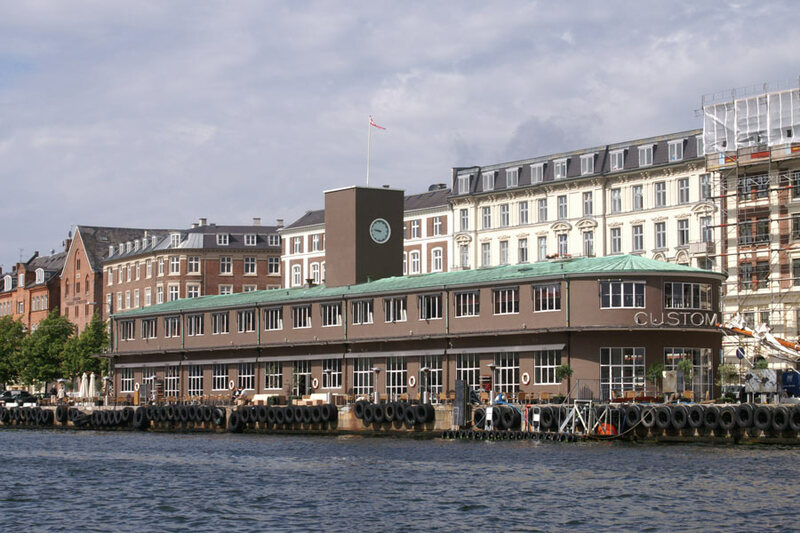 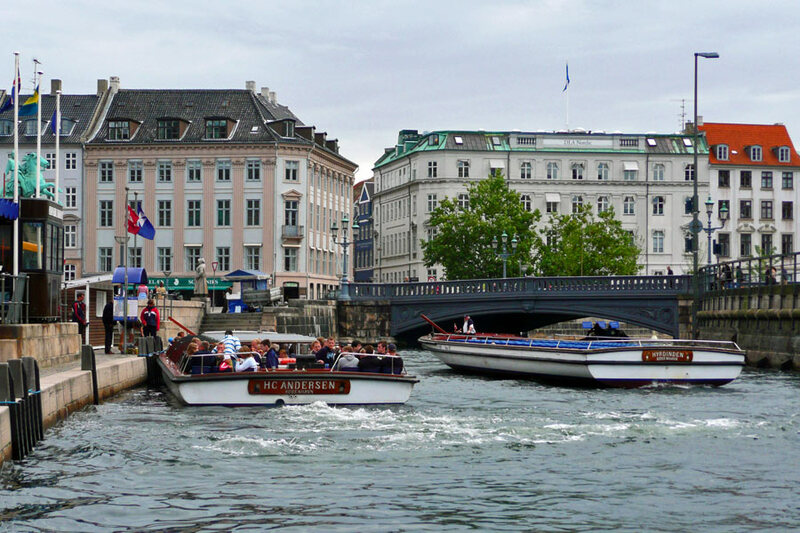 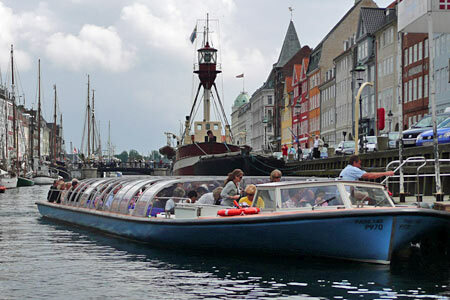 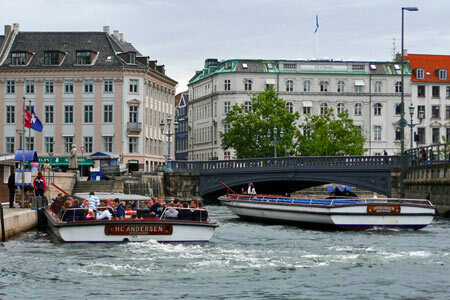 They also run three water bus routes in Copenhagen harbour. 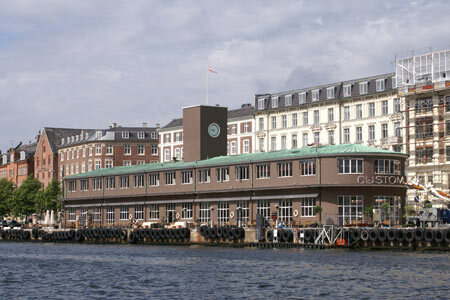 Route 901 runs from Nordre Toldbod to Det Kongelige Bibliotek (the Royal Library), criss-crossing the harbour via Holmen Nord, Operaen, Nyhavn and Knippelsbro. 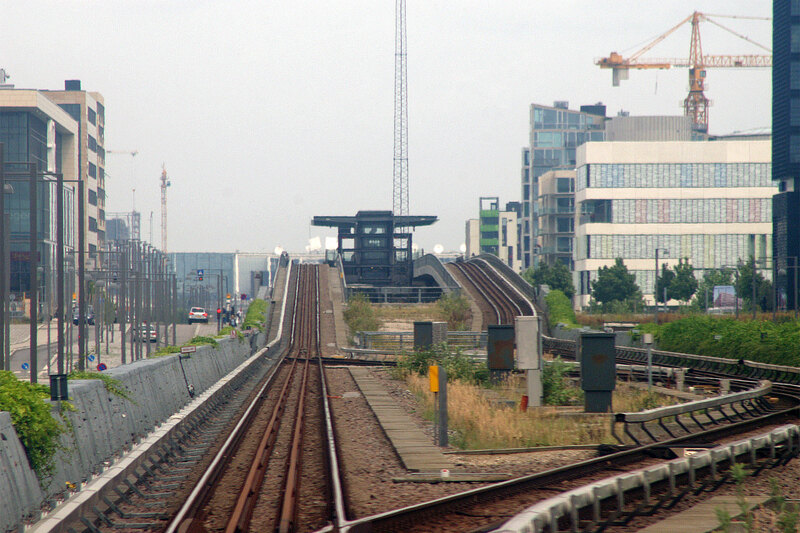 Route 902 runs in the opposite direction. 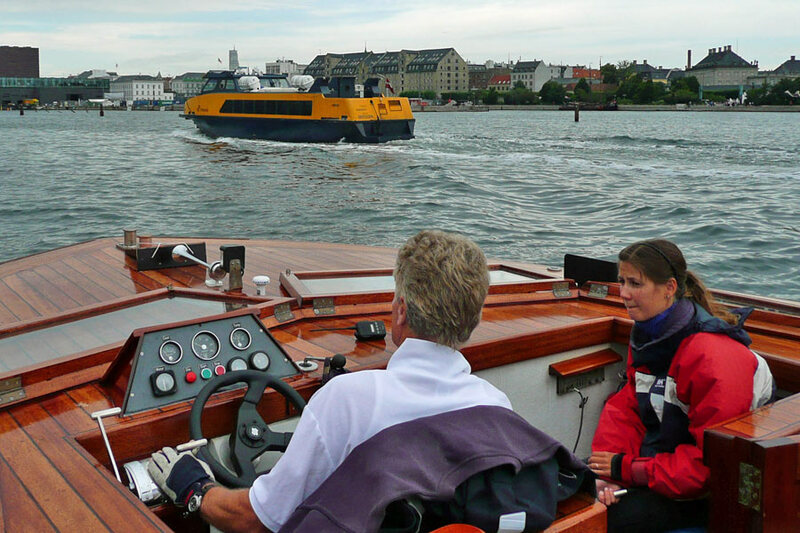 Route 903 just links Nyhavn and Operaen. 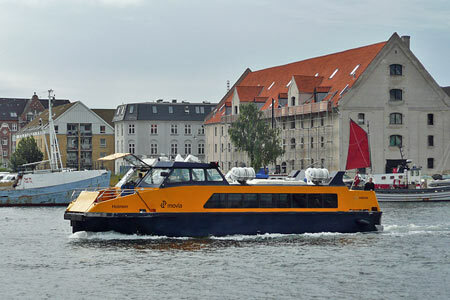 Ferries Bryggen and Holmen operate the 901/902 route, whilst a Nettobådene water bus Netto III was running the 903 route on my visit. Spar Shipping (www.sparshipping.dk) operate an interesting fleet of small passenger ships from Copenhagen on scheduled trips to the small islands of Middelgrundsfortet and Flakfortet, plus the larger island of Hven. 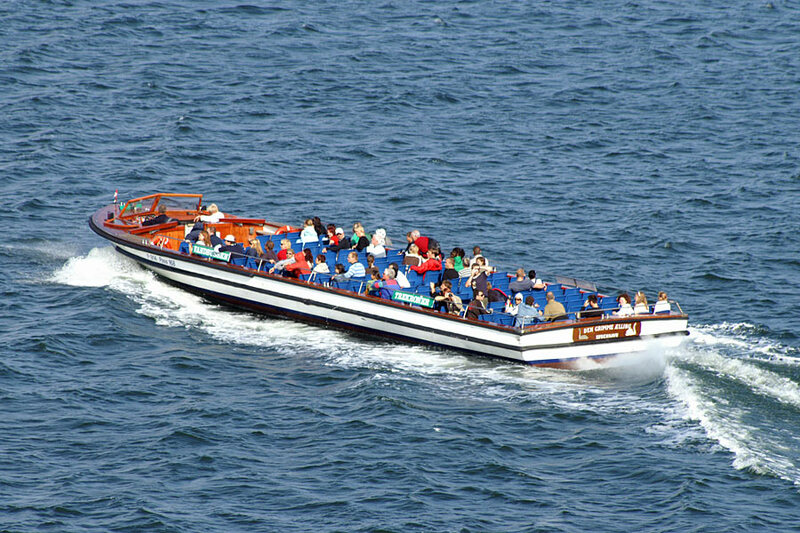 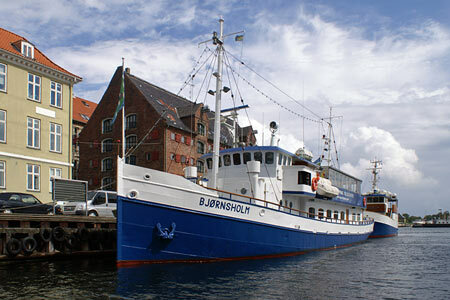 Charters, fishing trips, workboats, etc are also available. 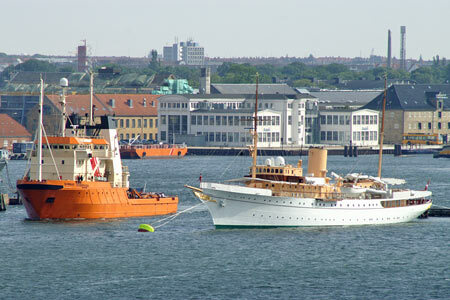 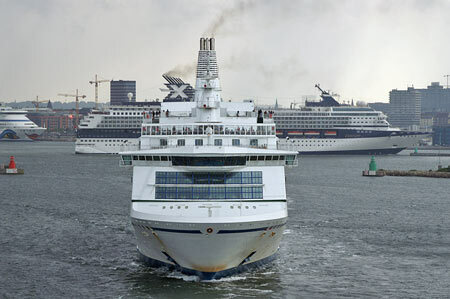 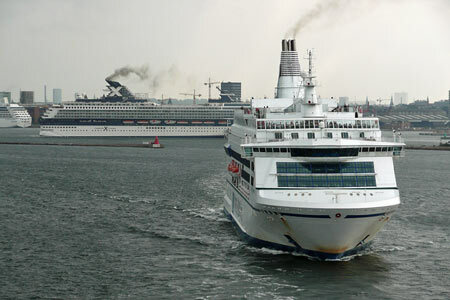 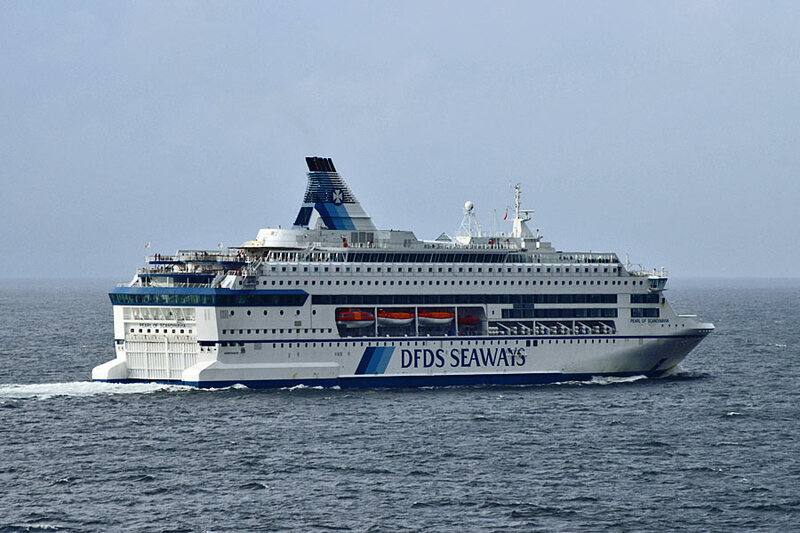 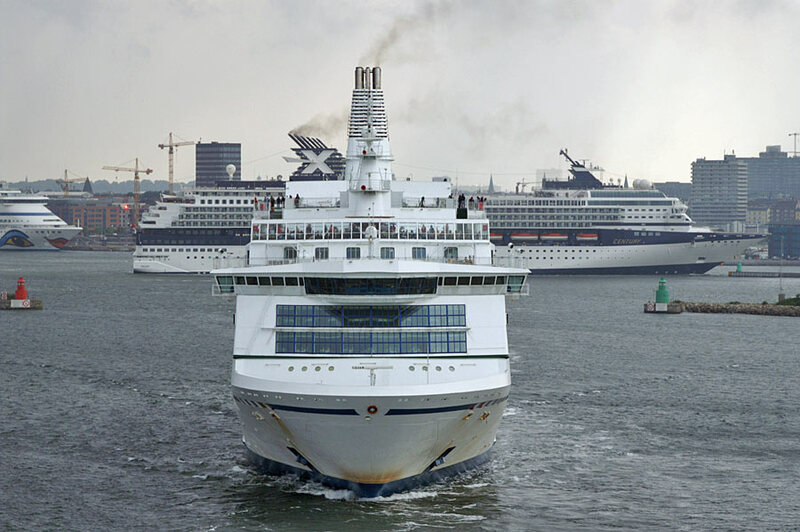 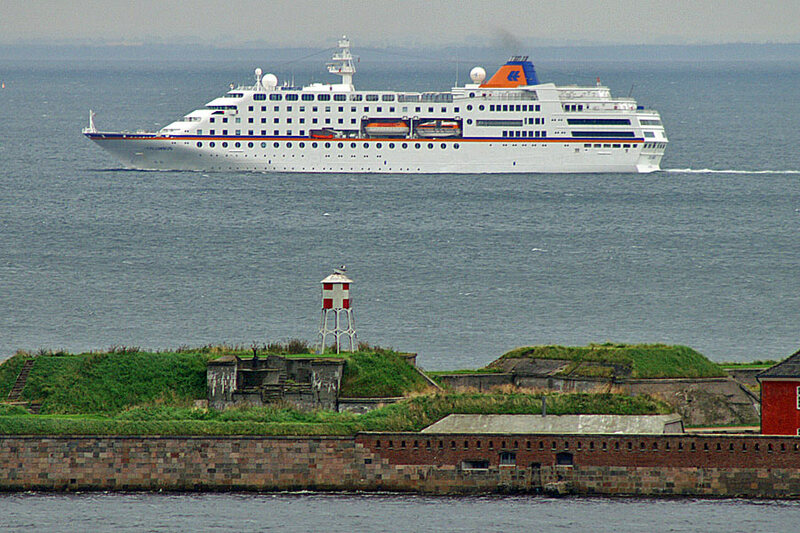 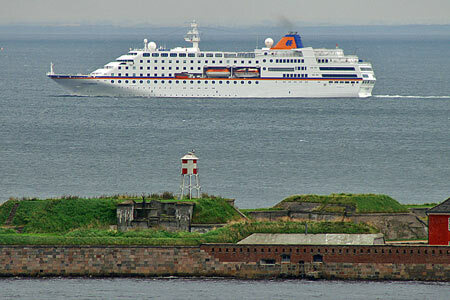 Larger vessels carrying over 100 passengers are Bjørnsholm (1916), Langø (1950) and Jeppe (1974). 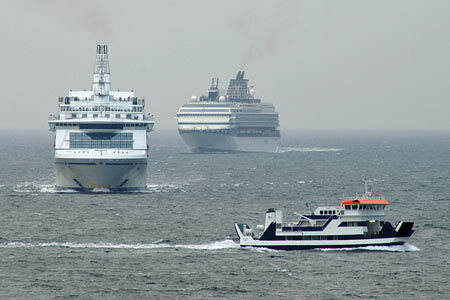 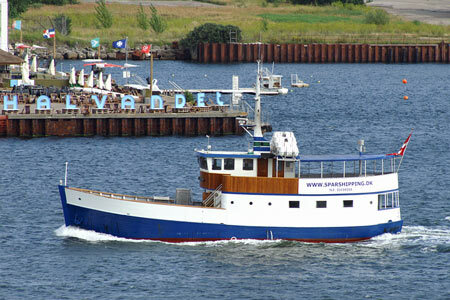 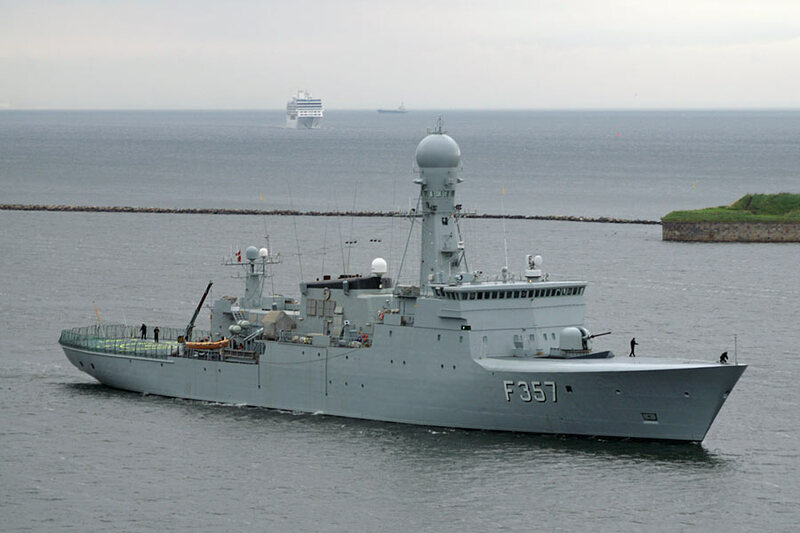 The are also smaller vessels Skipper, Øby and Findus. 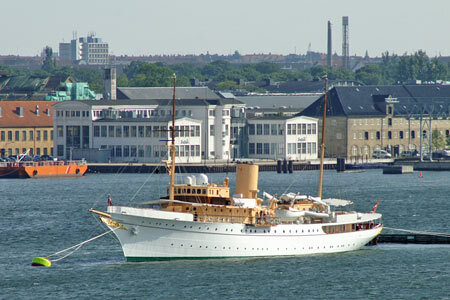 Bjørnsholm was built as Corrie in the Netherlands, later serving as Inger and Helmsund. She was rebuilt as a passenger ship in 1974 and became the Bjørnsholm in 1987. 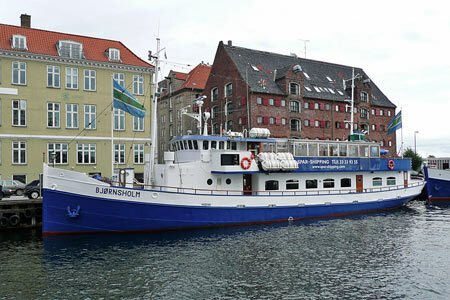 Bjørnsholm was acquired by Spar Shipping in 1991 and was used on services to Hven. 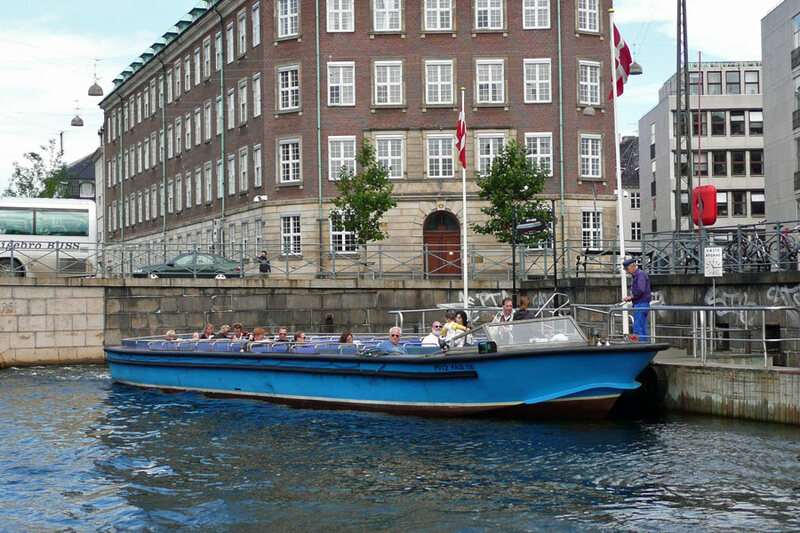 Langø was built in Norway as Bragd. In the 1970s she became Teistin in the Faroe Islands, becoming Teistin II in 1979. 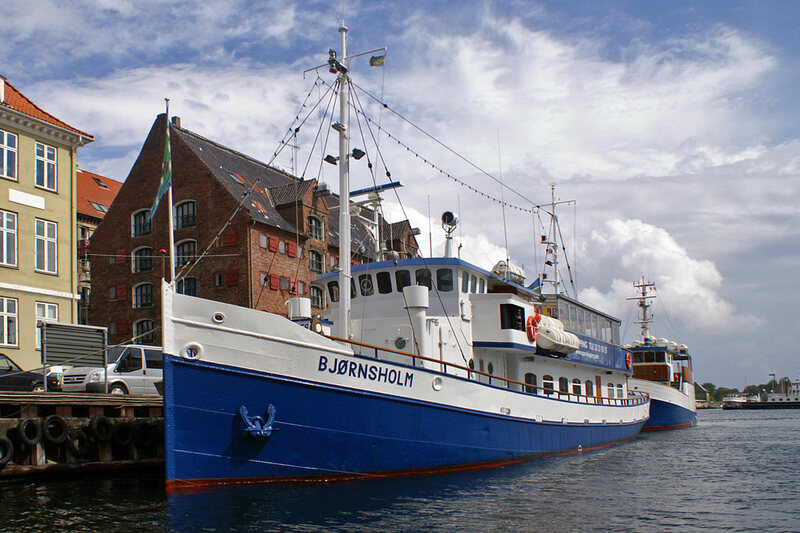 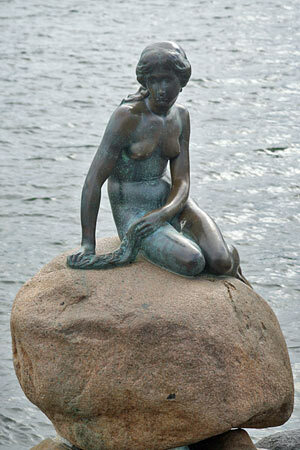 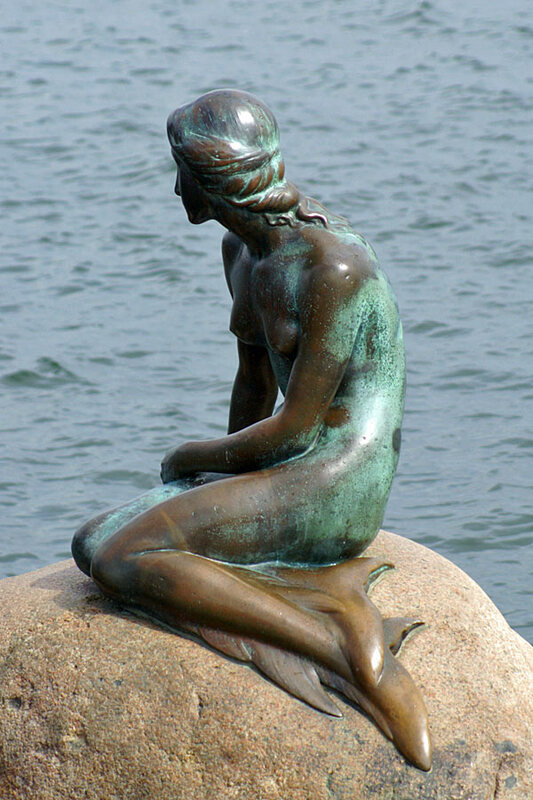 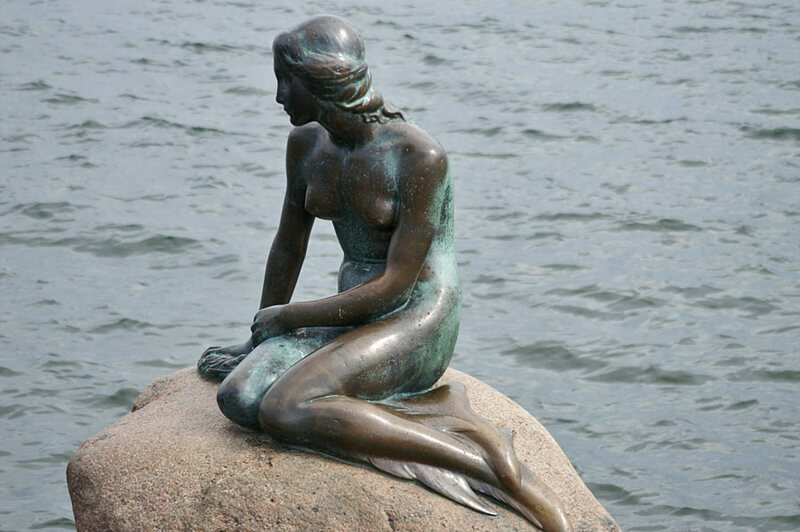 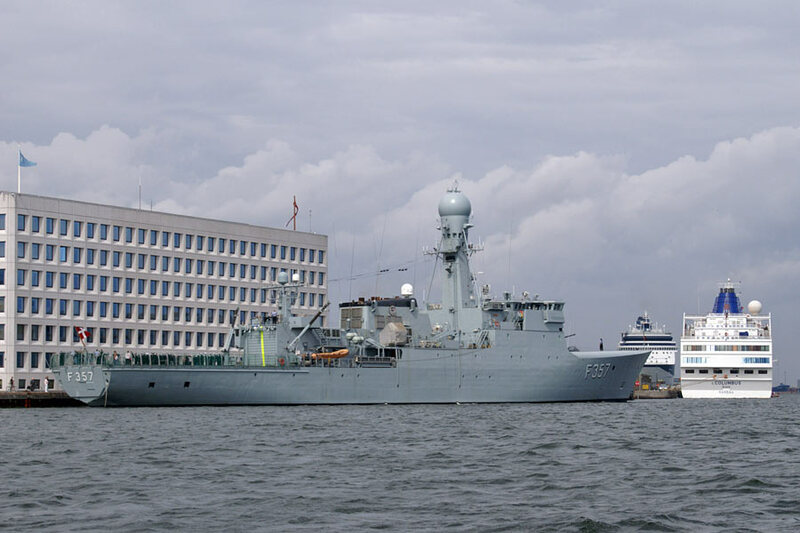 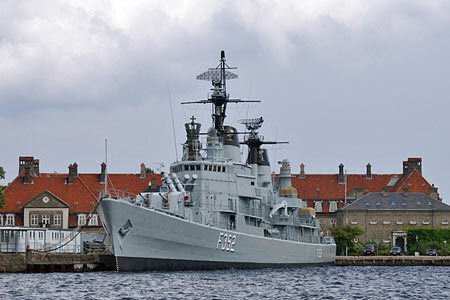 She moved to Denmark as Kroen Vester in 1974 before becoming Langø in 1984. 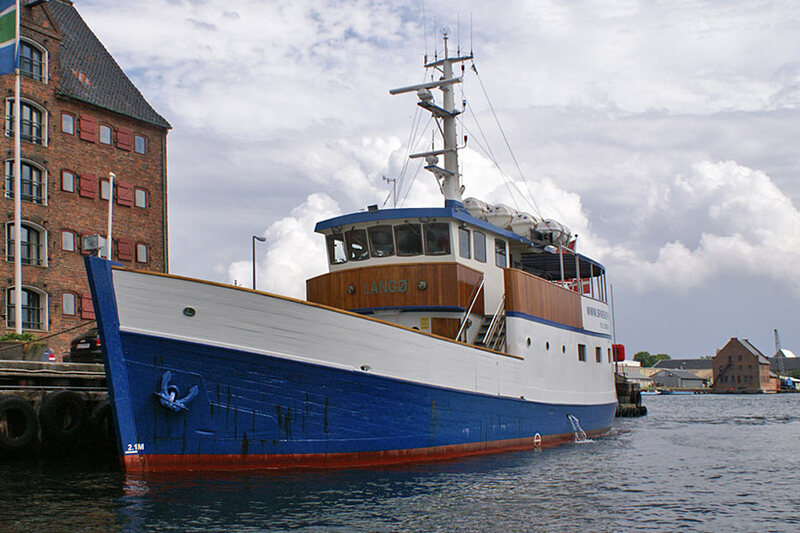 She runs the services to Middelgrundsfortet and Flakfortet. 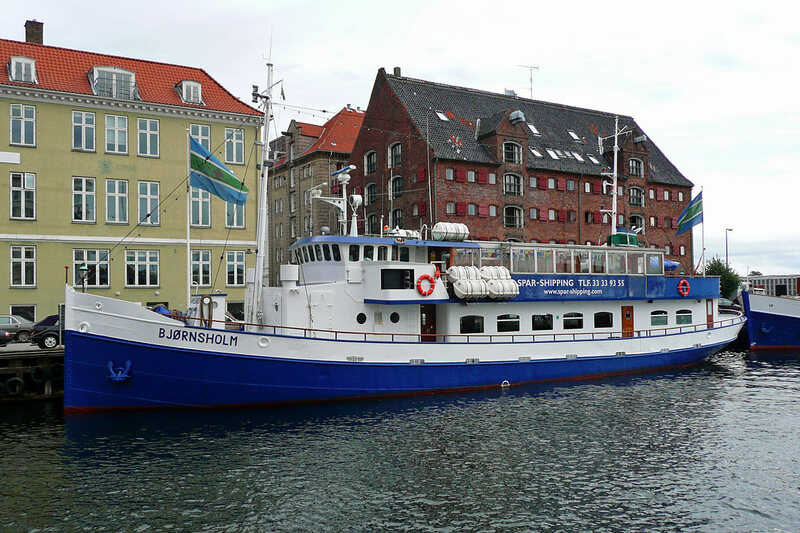 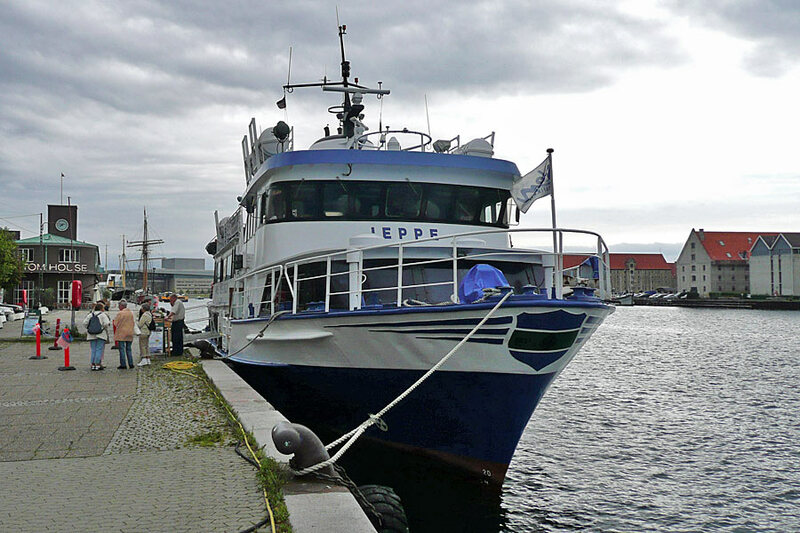 Jeppe was built as Sundbuss Jeppe for Moltzau and used between Helsinborg and Helsingør. 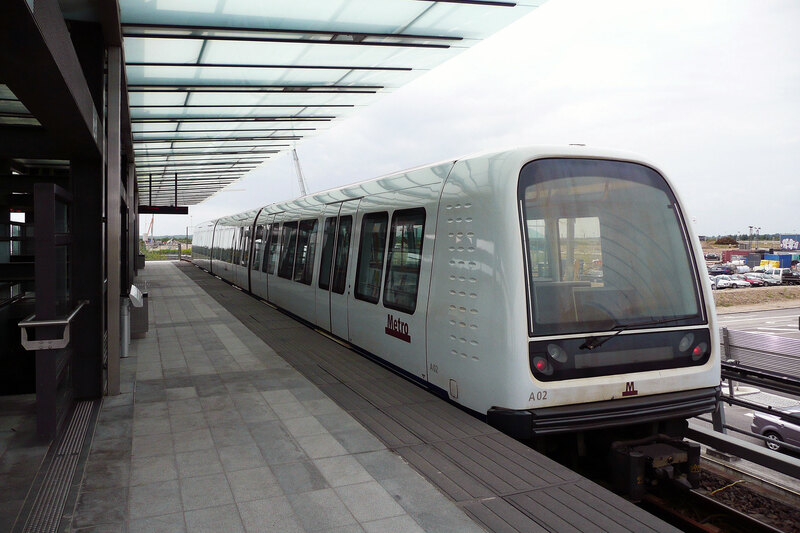 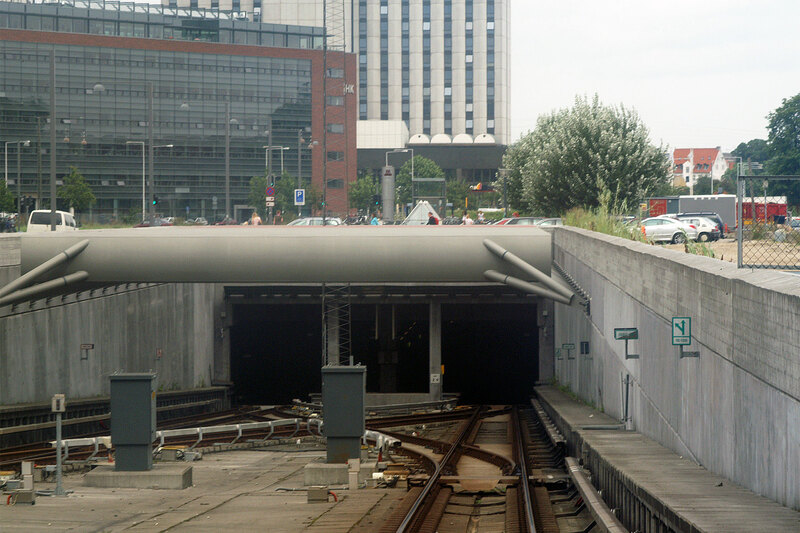 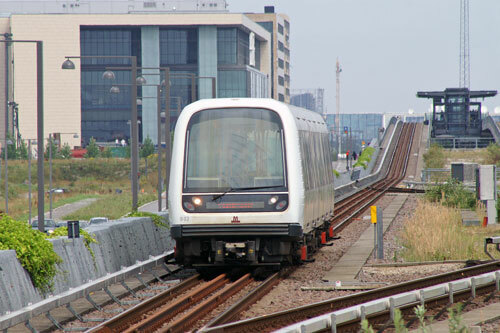 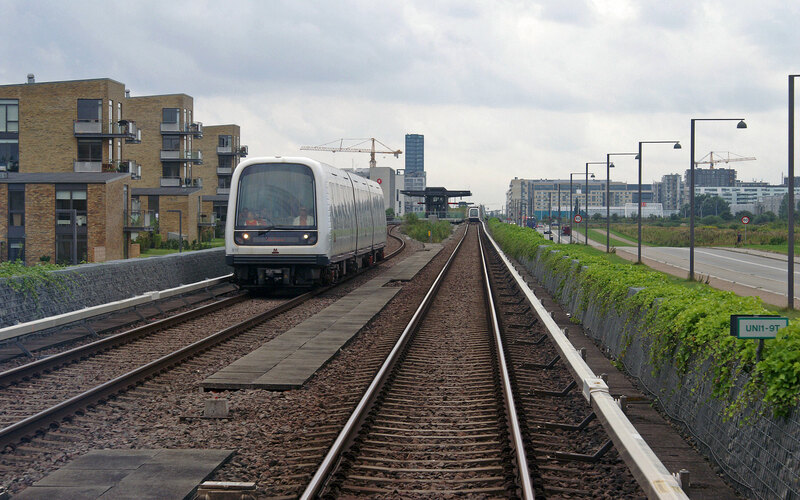 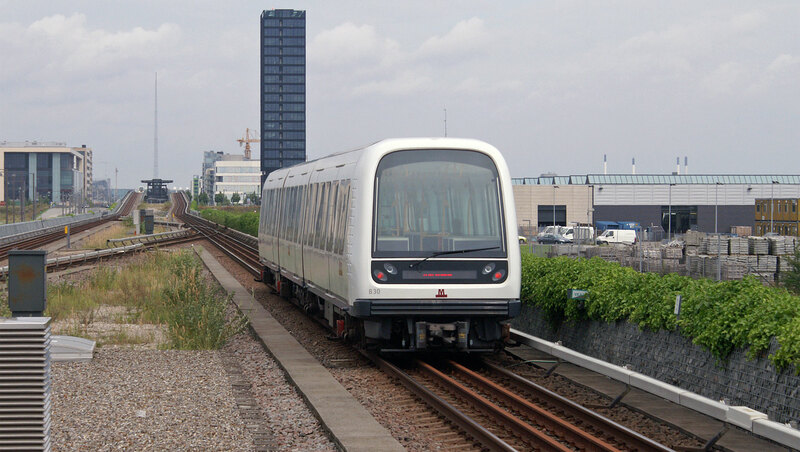 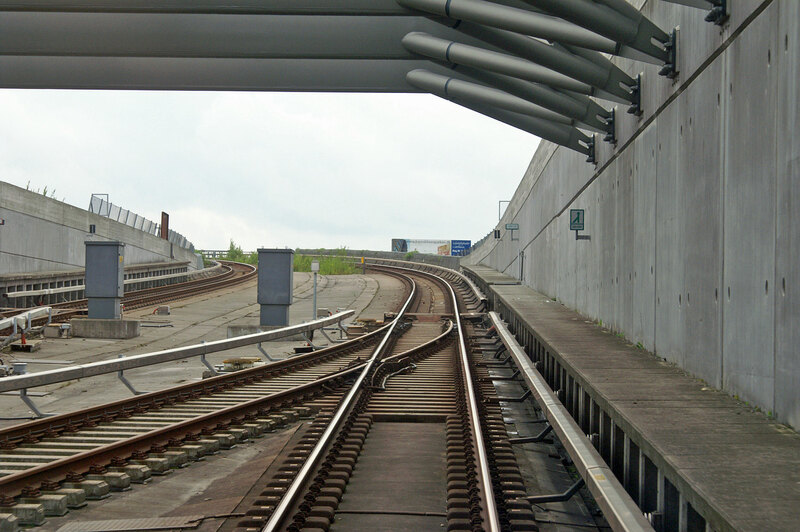 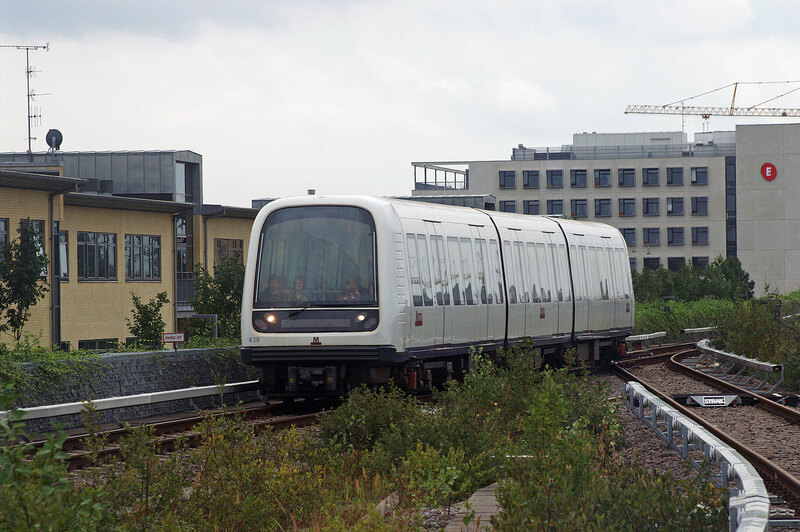 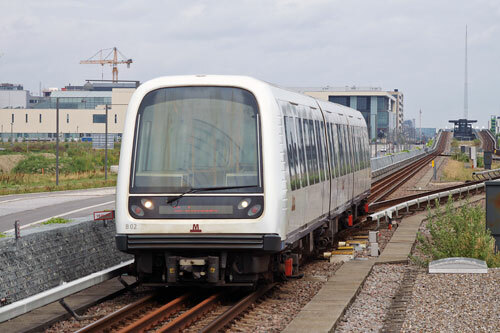 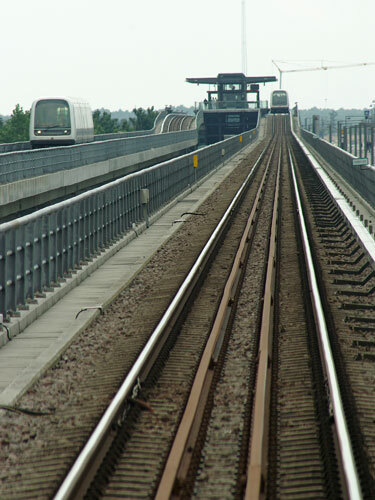 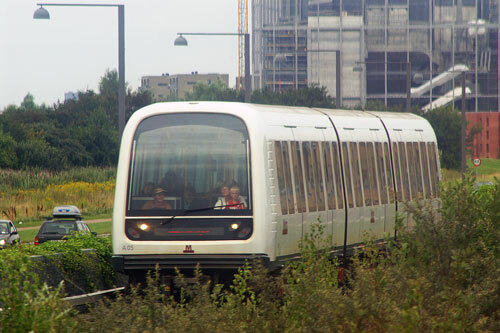 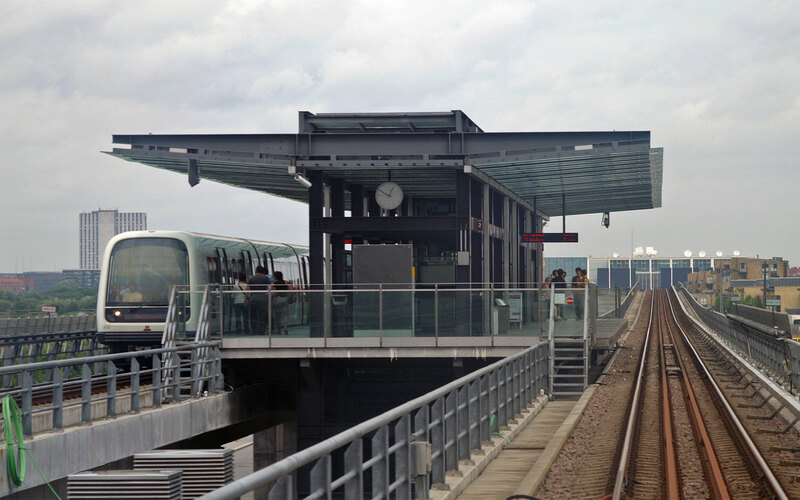 Copenhagen Metro (K�benhavns Metro) is a rapid transit system serving Copenhagen, Frederiksberg and T�rnby in Denmark. 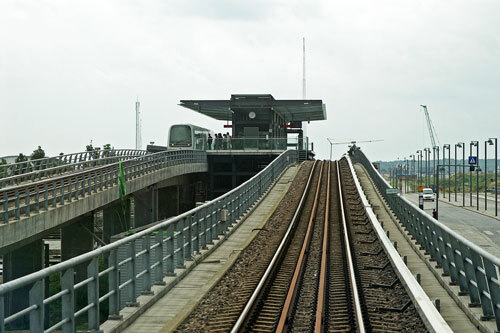 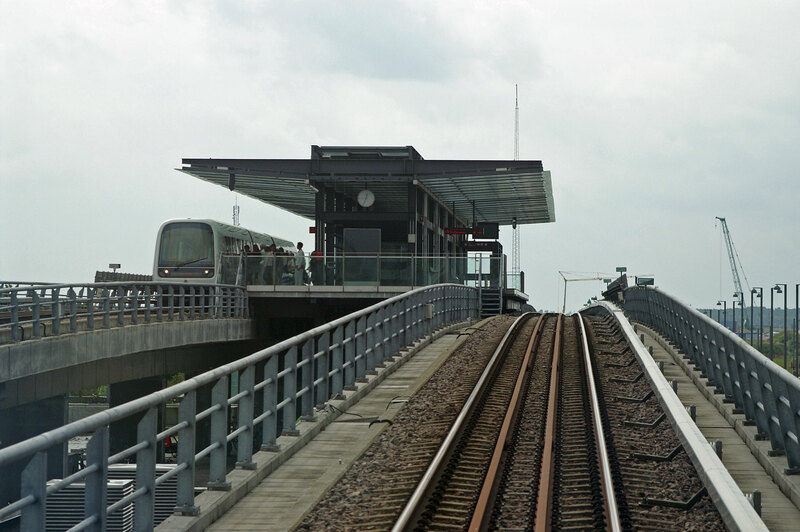 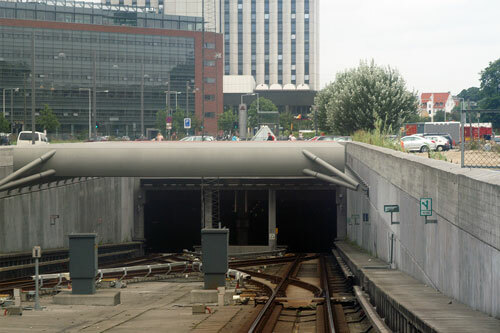 The 20.5 km (12.7-mile) system opened between 2002 and 2007, and has two lines, M1 and M2. 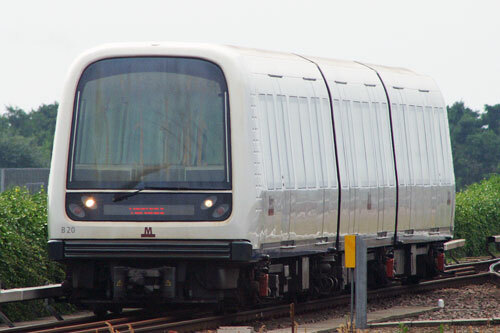 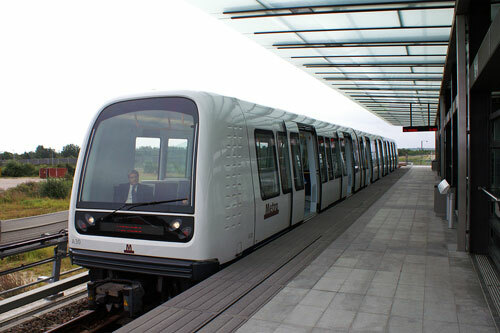 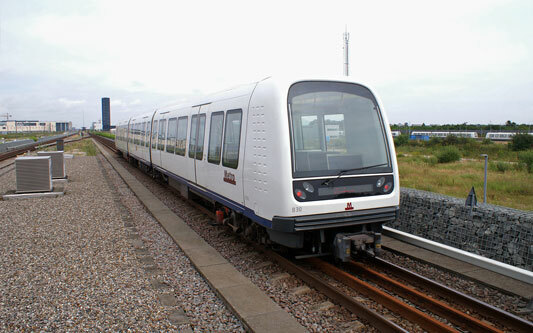 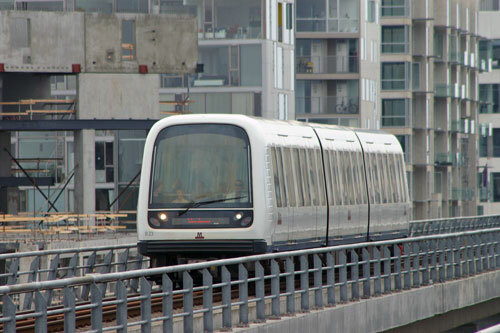 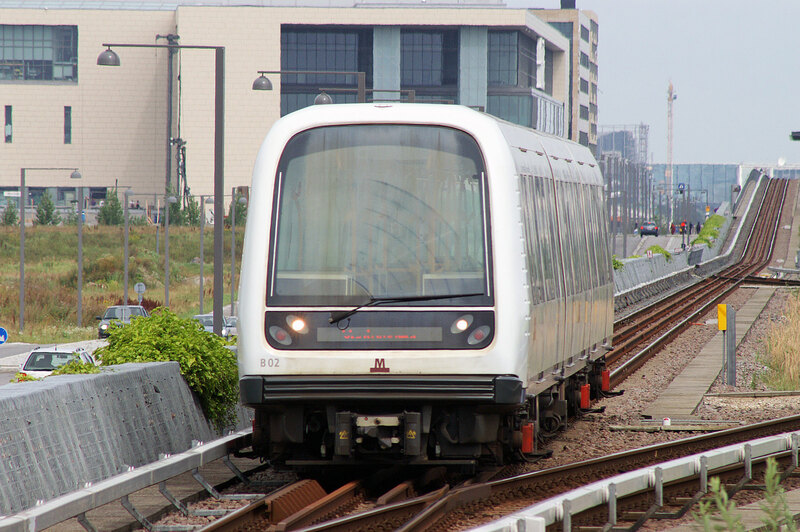 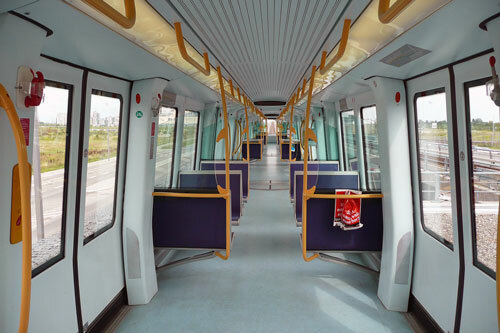 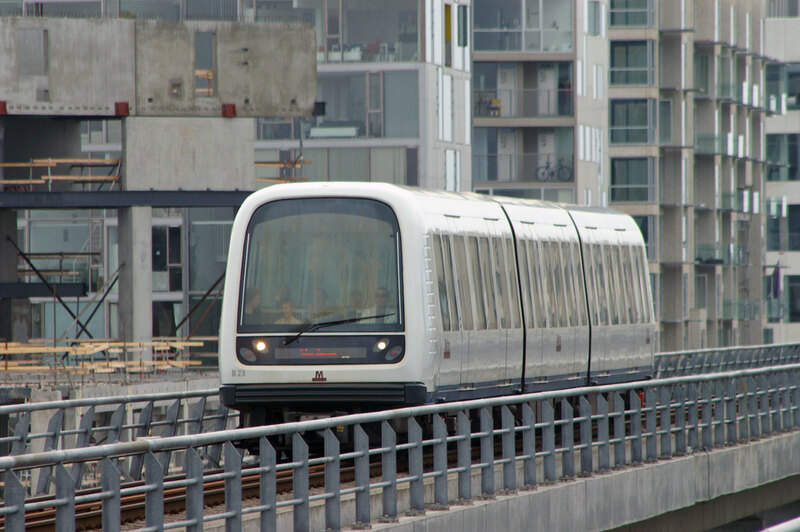 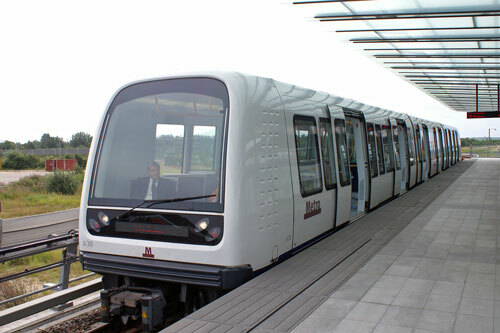 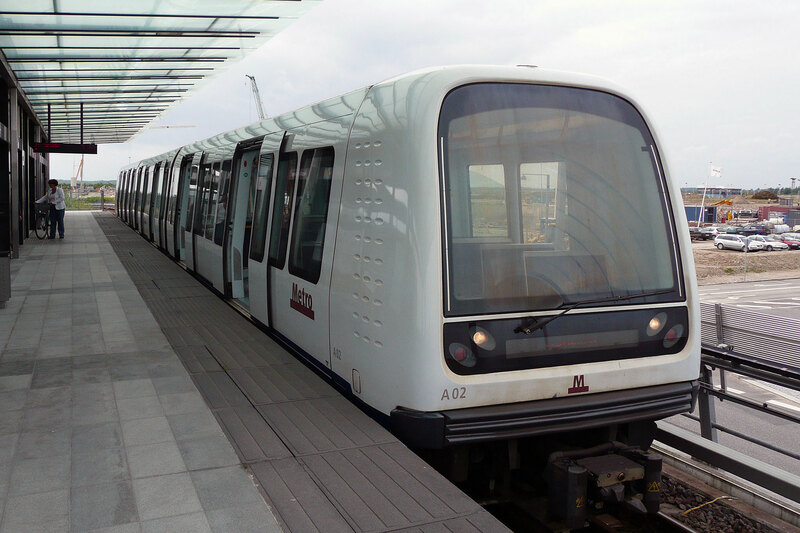 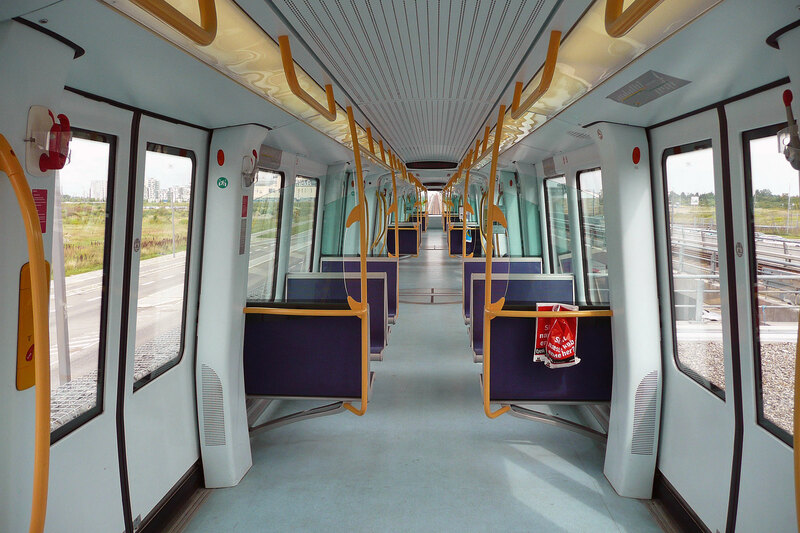 The driverless light metro supplements the larger S-train rapid transit system, and is integrated with DSB local trains and Movia buses. 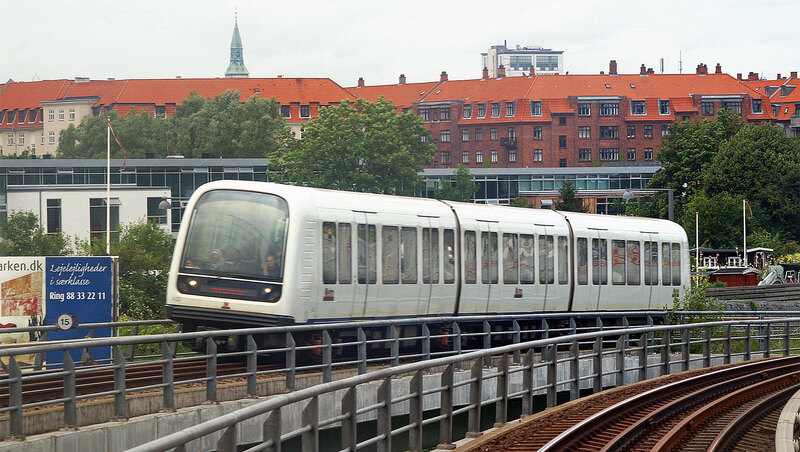 Through the city centre and west to Frederiksberg, M1 and M2 share a common line. 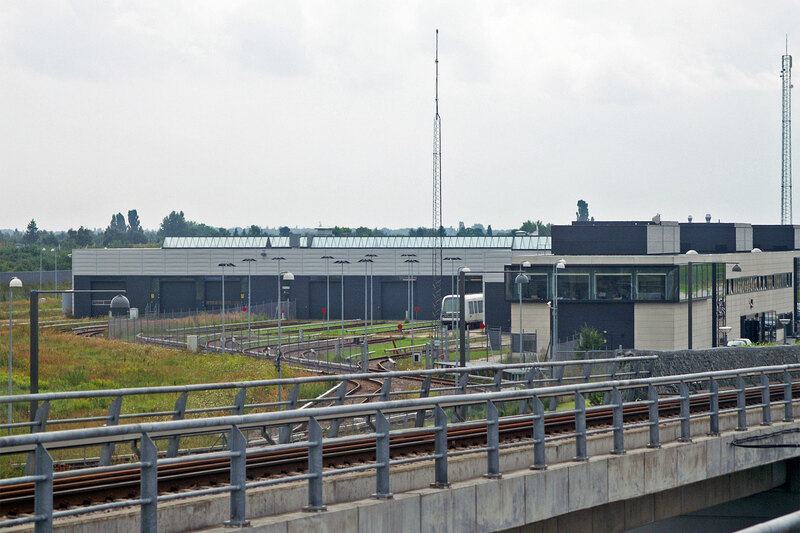 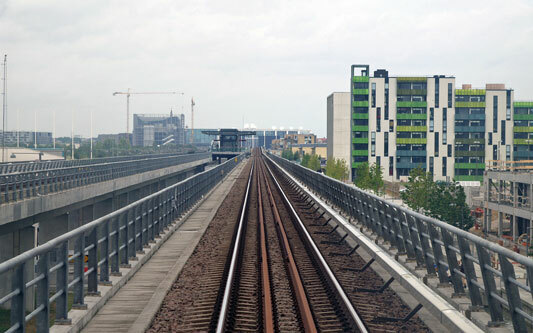 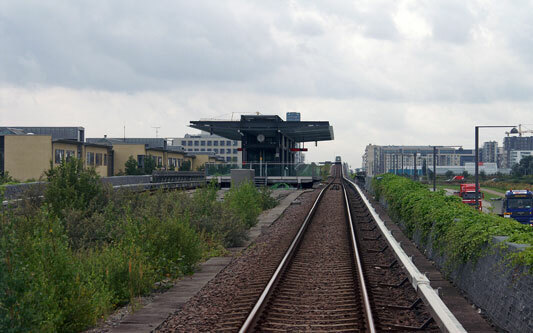 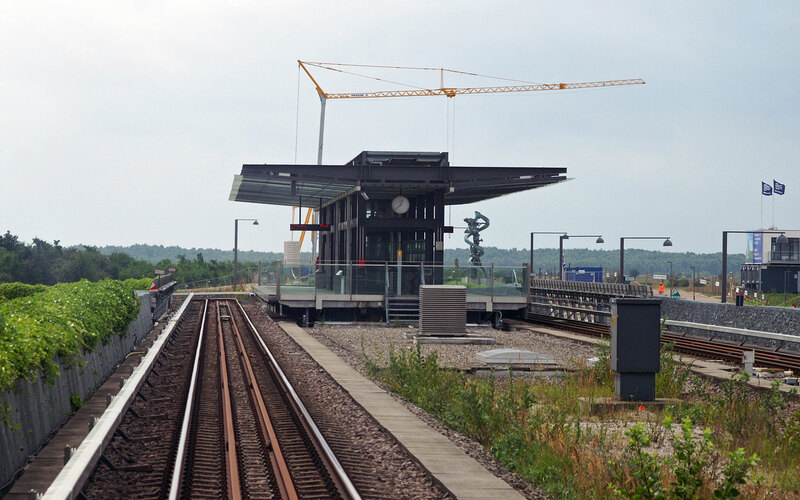 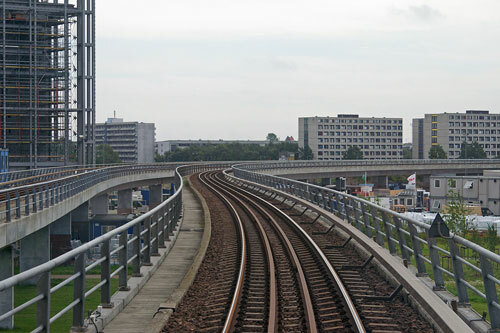 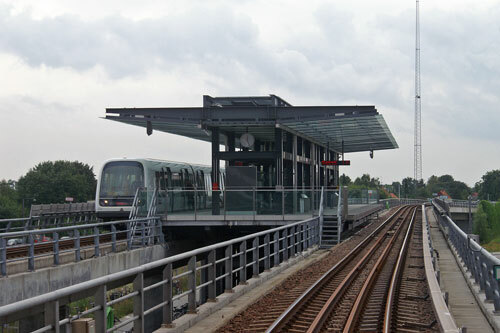 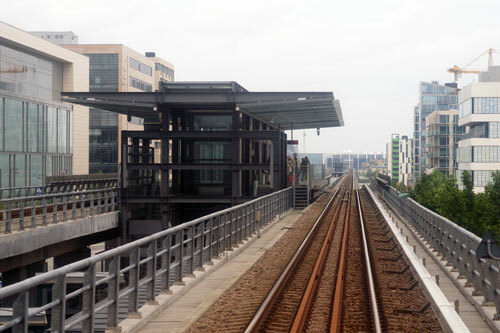 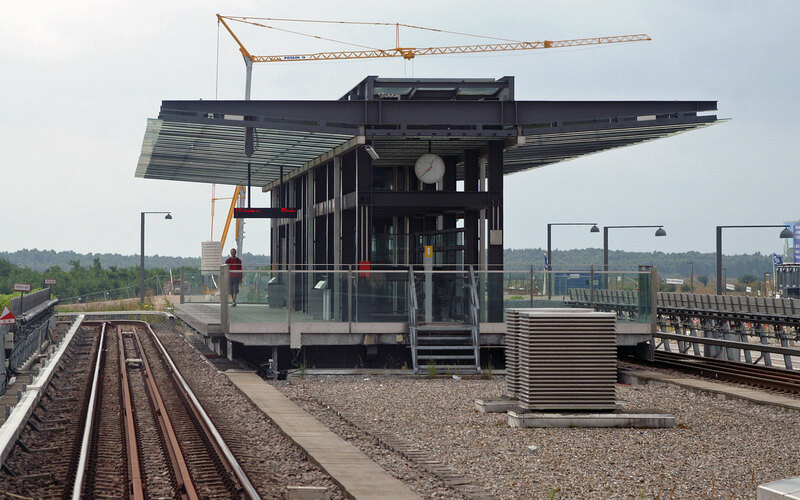 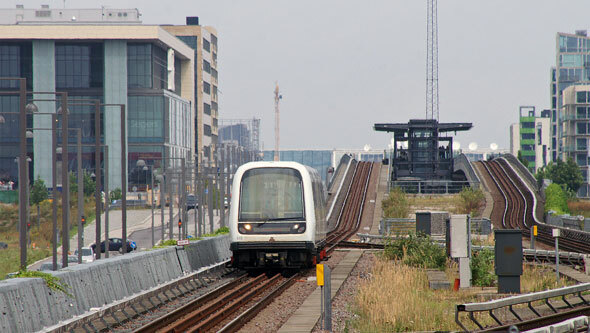 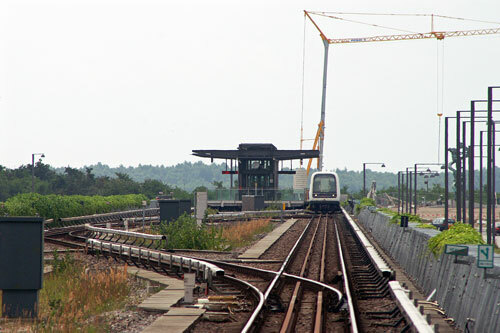 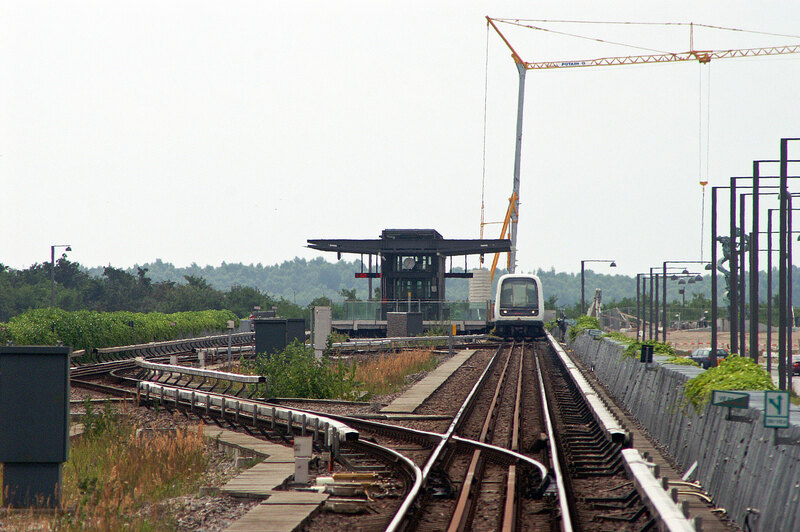 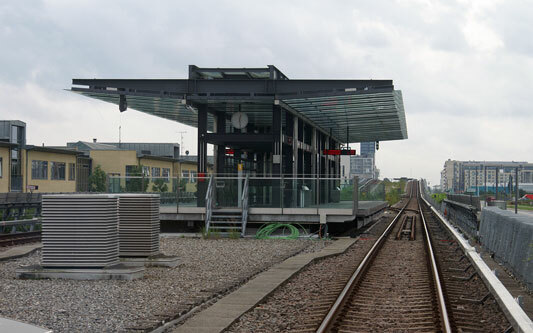 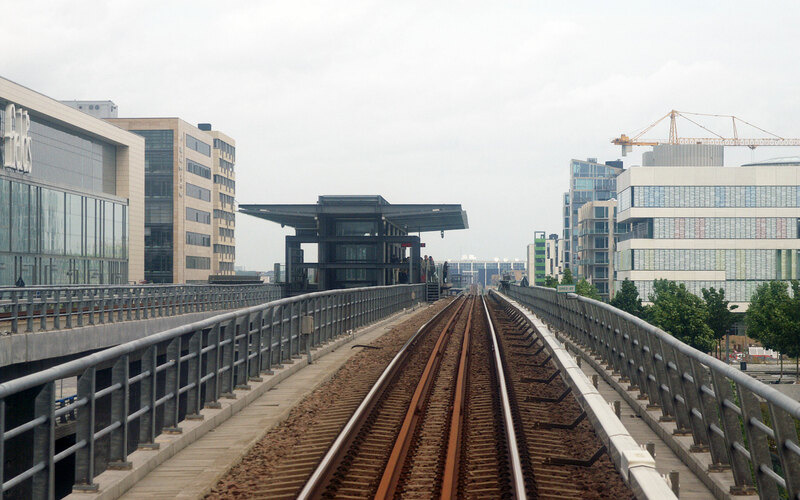 To the south-east, the system serves Amager, with the 13.7 km (8.5-mile) M1 running though the new neighbourhood of �restad, and the 14.2 km (8.8-mile) M2 serving the eastern neighborhoods and Copenhagen Airport. 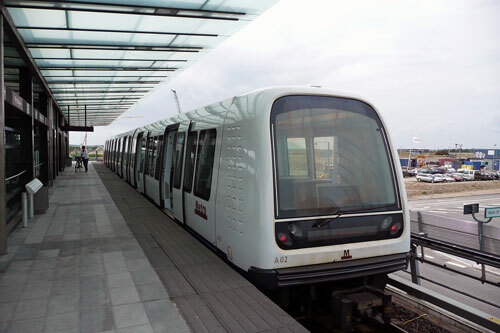 The metro has 22 stations, of which 9 are underground. Current lines M1 & M2 were completed in September 2007, the final section to the airport opening after my visit. In 2010, the metro carried 52 million passengers. I travelled on line M1 eastwards from the city centre because this had the longest surface section. 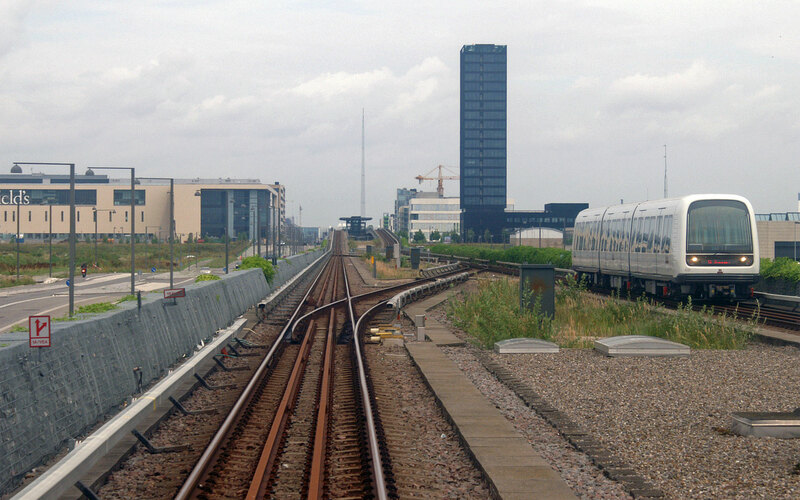 With no drivers, an excellent view forwards is possible and most images were taken from the train, in rapidly deteriorating weather.